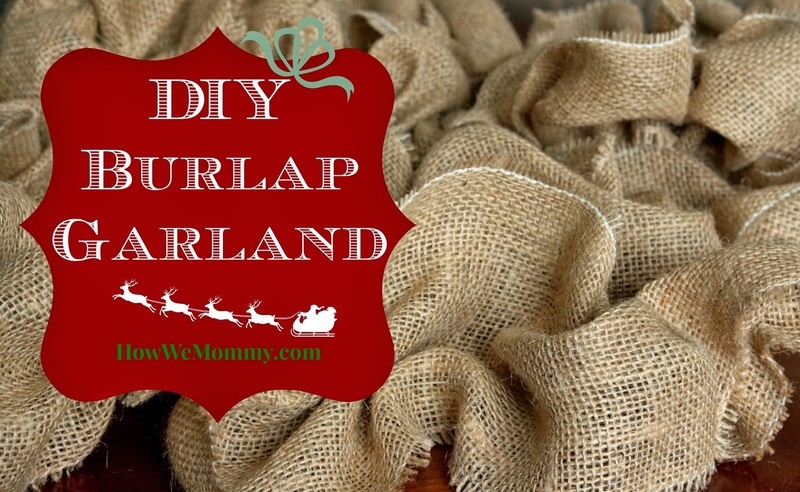 If you've been anywhere near Pinterest lately, you'll find burlap crafts everywhere! I jumped right on that trendy bandwagon because 1) It's CHEAP, $2.97 per yard at my Wal-Mart. 2) It's easily adaptable to all 4 seasons of decorating or any home decor theme. And 3) I feel like a member of the popular crowd on Pinterest now because I made something with it. My local store didn't have any of these neatly packaged little rolls of goodness so I had to take the long way around to getting my burlap strips ready. A friend with wine... I guess this is optional but it sure made it more fun! 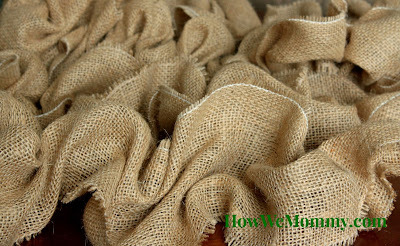 The first thing I had to do was cut my trips of burlap. I wanted some thinner garland for my tree and some wider for various other places in my house, so we cut some 4" and some 6" strips. After the strips were cut we pulled a few of the outer threads so that there was a nice straight line to follow. You'll have some un-even threads protruding from the sides but don't worry, those will get trimmed! Sew a medium length and width zig-zag stitch all the way around your garland strips, using the last thread of the burlap as your guide. This will keep them from fraying and make it look much neater. 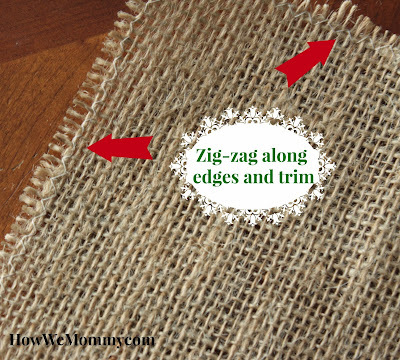 Then trim any excess off so it's even all the way around. Next grab a needle and thread it with a nice long length of thread. I used a big darning needle, it was easy to hold and the gaps in the fabric are plenty big to accommodate it, It's also safer for smaller hands because they're dull so if you have a child wanting to help this is the best step for that. 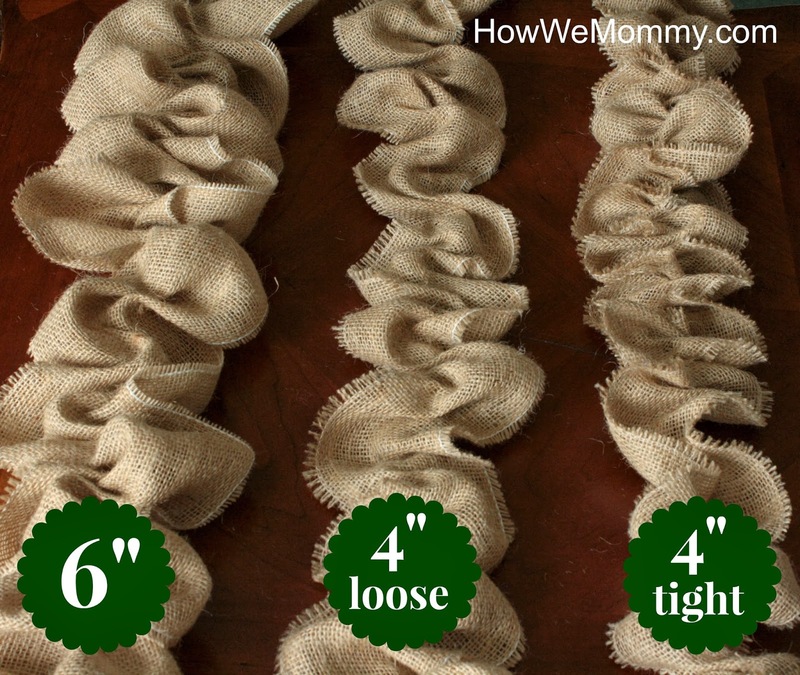 Start at one end of your strip and pull the thread through and knot it to secure it to the end. Sew long even stitches in a 'S' pattern, gathering as you go, all the way to the other end. How closely to gather your garland will be a matter of your personal taste. Here's an example of what the different sizes and gathers that I did before deciding on which I liked best. Once you get to the other end and have your garland gathered the way you like it, knot off your thread securing that end in place and trim the extra thread. Now you've got Garland! Hi, sorry for the delay in replying. You do an "S" stitch to make it a nice full ruffle. If you do a straight line it makes it kind of frilly and less garland looking. This is such a wonderful idea and I have all intentions of doing it this year. Thank you so much. You've done a fantastic tutorial of your method here. Thank you for sharing with us. 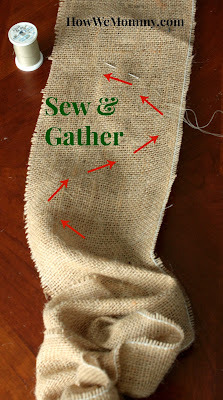 I recently started wanting to be in the cool club and in my FB Burlap Crafting Groups. Lol! I started making Burlap Wreaths and Crosses. 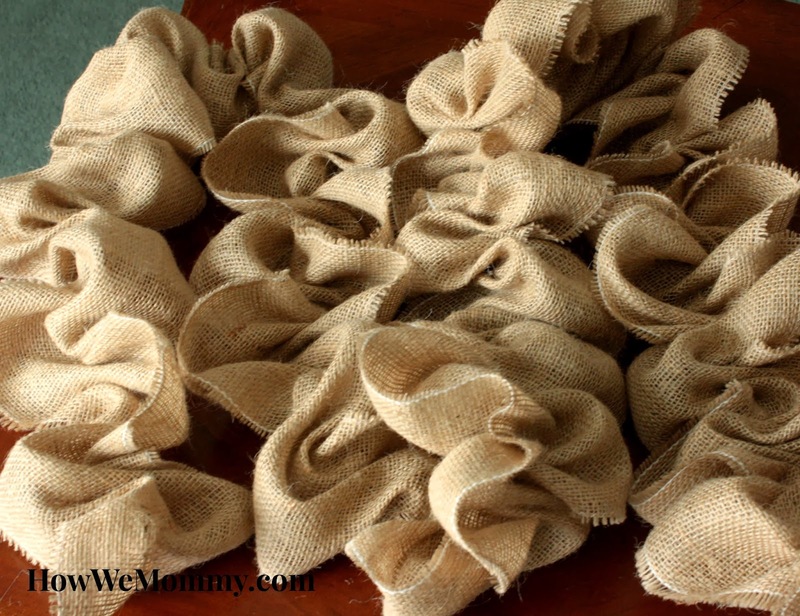 I have noticed thought, almost immiediatley, that i sneeze,snuggle,cough and itch anytime i work with burlap and even when i am in the room with it. I fear if i covered my house with the garland. I would suffer from allergic reaction. Im going to still use it, a mask is on my list of things to pick up. CAN YOU USE THIS BURLAP GARLAND TO ATTACH TO A WIRE WREATH FRAME? IF YES HAW WOULD YOU ATTACH THE GARLAND? 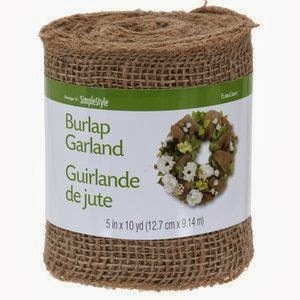 I HAVE NOT WORKED WITH BURLAP.